OEM printhead for HP Designjet Printers: T920 36, T920 36 PostScript, T920 36 PostScript SED, T1500 36, T1500 36 PostScript, T1500 36 PostScript SED. Its easy to get consistent, professional results with this six-color Original HP printhead, designed together with your printer as an optimized printing system. You can make an impression with clear, easily readable drawings. 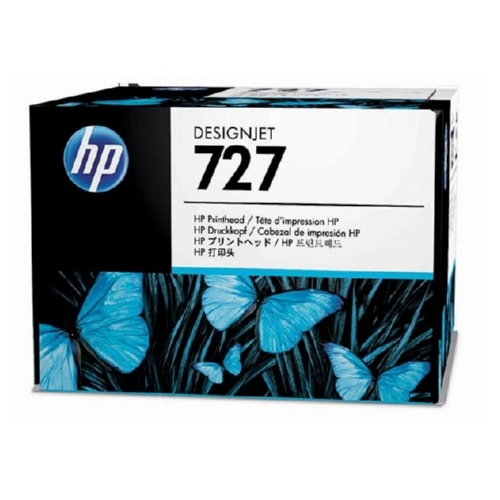 The HP 727 printhead will enable consistent, outstanding results. This original HP printhead is designed to provide accurate lines, sharp detail and rich color quality. Device Types: Inkjet Printer; Color(s): Matte Black; Photo Black; Cyan; Magenta; Yellow; Gray.